SEATTLE (AP) – Whatever the result in the final, it has already been a special postseason run for 12th-seeded Wisconsin. The Badgers are the lowest seed to make the NCAA volleyball championship match after upsetting No. 1 defending national champion Texas in the semifinals. Wisconsin (28-9) is proving that even a team without overwhelming size up front can still have success in the NCAAs. But the Badgers made it clear Friday they’re not just satisfied with what they have accomplished heading into Saturday’s final against No. 2 Penn State. They don’t want to be remembered as the plucky team that got hot in the tournament only to fall short in the championship match. 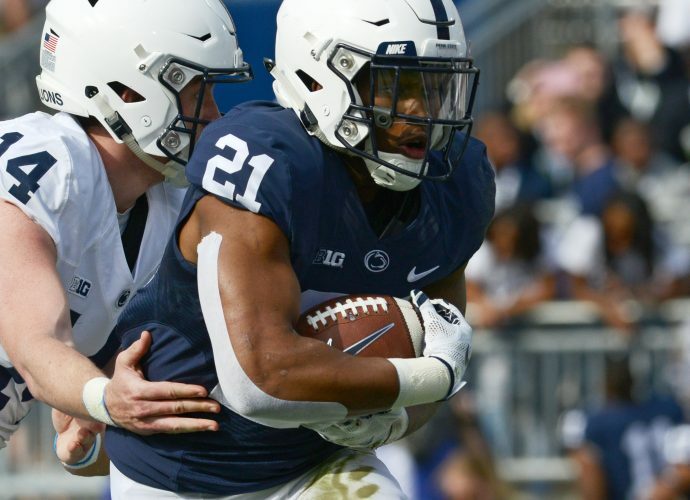 For the Badgers to cap their run it means solving Penn State (33-2) and a long history of dominance the Nittany Lions have over their conference foes and on the NCAA stage. today will be the ninth time Penn State has played for a national title, winning five previous championships. The Nittany Lions have won 19 of their past 21 matches against Wisconsin, including a pair of 3-0 wins over the Badgers in Big Ten play this season. The Nittany Lions are coming off one of the most overwhelming performances of the season, never letting hometown Washington into the match in a 3-0 sweep in the semifinals. It was their 24th-straight victory, having not lost since Sept. 27 against Michigan State. Getting to this stage of the tournament is commonplace for the Nittany Lions under coach Russ Rose. This will be the fifth time Penn State has played for the national title since 2007, including a run of four straight championships from 2007-10. The Nittany Lions have one of the more dynamic front lines in the country, led by Deja McClendon and Ariel Scott and a multi-talented setter in Micha Hancock, who controlled the match against Washington with her curving, left-handed jump serves just as much as her passing at the net. What Wisconsin will have to overcome is its lack of height at the net compared to Penn State. The Badgers were able to fluster Texas in the semifinals because the back row defense continued to keep plays alive. Wisconsin had 73 digs in the match and that allowed the Badgers’ undersized hitters extra chances to score. The Badgers are familiar with the kind of defense they’ll need to pose the same frustrating for the Nittany Lions. It’s one of the benefits of facing a conference opponent.